When you are paying your own way in the arts world you are forced to be ingenious. On our recent visit to Stratford-upon-Avon for the Royal Shakespeare Company's excellent Arabian Nights we stayed in in a perfectly acceptable en suite double room in Stratford Youth Hostel (remember youth is not a time of life but a state of mind) for less than £30 per night for two including breakfast. The night before, for the Oxford Improvisers concert, we stayed in the Campanile Hotel in Swindon on a special deal costing precisely £1 a night. A former BBC boss who now chairs the Arts Council enjoyed a taxpayer-funded £431 taxi ride home from a night celebrating Shakespeare’s birthday. Dame Liz Forgan was driven back from the performance at Stratford-upon-Avon to her London home at a cost of more than £4 a mile to the arts quango, which received £436m of government funding last year. The cab ride is one of dozens of expense claims made at the council by Forgan and her predecessor, Sir Christopher Frayling, in 2008-9, a period when the council was slashing funding, or removing it altogether from more than 200 arts organisations. Details of claims made public under the Freedom of Information Act show that Frayling also requested reimbursement of £500 for his own leaving present, a framed print by Tracey Emin, plus a further £115 for his farewell drinks. Arts Council England is our primary source of national arts funding. In between taking taxi rides across the country their management has been busy recruiting 300 'artistic assesors' . These 'assesors' are paid a £1000 a year plus expenses (taxis and leaving presents included presumably) and free tickets "to write assessments on the artistic work of its regularly funded organisations". The CVs of the first 152 assesors appointed suggest that among the great and good of the arts world multi-dipping is quickly replacing the double dipping of the last decade. Talking of which there are some who will be chuckling at another topical news story. The tragedy of Liz Forgan's taxi ride, BBC Radio 3 controller Roger Wright's expenses and similar foolishness is not the sums of money involved, but rather the damage done to the credibility of the organisations they represent. Arts Council England support invaluable work, with Aldeburgh Music for instance receiving around a third of their funding from them, while the BBC controls one of the largest new music commissioning budgets in the world. It is a true tragedy that this power to do good for so many is being put at risk by the actions of a few. The moral high ground is as dangerous a place to be these days as in a taxi from Stratford to London. So I will own up immediately to receiving my featured CD free as a requested review sample. 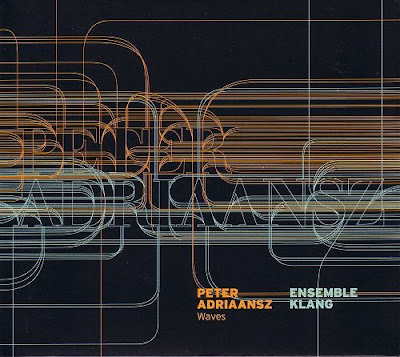 Dutch based Ensemble Klang appeared last year in my post Klang - but not Stockhausen, and as a result of that article their artistic director Pete Harden emailed asking if I would be interested in listening to their new album of music by Peter Adriaansz. Adriaansz’ music is characterized by a formalist stance and a high degree of conceptualism, in which sound, structure and audible mathematics are the main ingredients. In recent years an increasing interest in flexibility and variable forms can also be observed in his work. In numerous reviews his music has alternately – and often for the same piece - been dubbed everything from sadistic, brutal and extremely boring, to poetic, touching, ingenious and impressive. On the surface this is music that moves very slowly; it is mostly composed of long tones that either do not change at all, or change only in our perception because of incidents in the sonic ecology that surrounds them. Waves is most certainly not an easy listen. But in my book that is no bad thing. I have written previously about the crucial need to listen outside our comfort zones and about the merits of 'ear-candling music'. 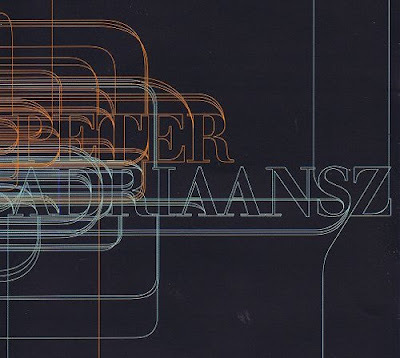 Which is precisely what, for me, Peter Adriaansz's music is. And if you are wondering what the link is between Waves and the peccadilloes of Arts Council executives the answer lies in the small print on the CD sleeve. This CD was made possible with financial support from Société Gavigniés. All works written with financial support from the Nederlands Fonds voor Podiumkunsten. Funding from the Arts Council, the BBC, Société Gavigniés, Nederlands Fonds voor Podiumkunsten and many others is the lifeblood of classical music around the world. How sad that it being put at risk by £431 taxi rides. 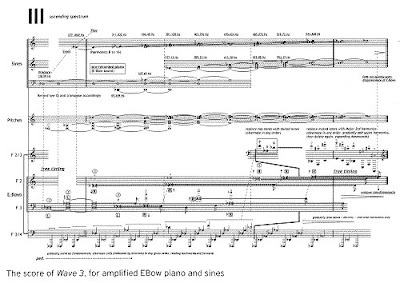 * Waves is the first release on Ensemble Klang's own label. Albums of music by Tom Johnson and Oscar Bettison will follow. It can be bought as a CD or download from the band's website. The story of a contemporary composer's Dutch courage is here. In an era of instant information available from countless sources, the notion of a government-run national broadcasting system is a notion out of step with the times. The continued massive involuntary subsidization of the BBC prevents the eruption of a wealth of private alternatives in the UK, all competing for viewers and all injecting new levels of creativity into their endeavors. There is something faintly Soviet-era about the BBC in its current incarnation. It should have been phased out back in the 1980’s, accompanied by the flowering of a hundred new alternatives. Instead, the BBC was allowed to rot on, and it has now entered its late, decadent phase, a phase that never should have been allowed to occur. I hope that absurd taxi ride will cost that person her position. ... the BBC was allowed to rot on, and it has now entered its late, decadent phase ... oh yes Drew, how well put. Liz Forgan was awarded Dame Commander of the Order of the British Empire for services to Radio Broadcasting in 2006 and previously awarded the OBE in 1998 also for services to Radio Broadcasting. In Britain today youdon't get fired for £431 taxi rides. You get made a Dame Commander of the Order of the British Empire. I'm amazed that anyone at the Arts Council would attempt to defend that outrageous taxi ride. A normal person would have stayed in Stratford overnight, and taken the first train back to London the next morning.